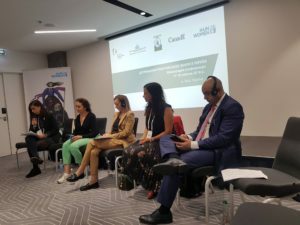 On 17-18 October, ERGO Network director Gabriela Hrabanova spoke at a conference on ‘Realising the rights of Roma women in Ukraine’, organised by UN Women in cooperation with ERGO Network member Roma Women Fund Chiricli. The conference brought together Ukrainian Members of Parliament, government representatives and members of the judiciary with local decision-makers, MEPs, UN officials, civil society organisations and grassroots Roma women to discuss the multiple discriminations of Roma women and provide recommendations for the elimination of discrimination. According to UN Women, the estimated 100,000 – 200,000 Roma women are the most socially excluded and marginalized group in Ukraine. They are discriminated for being Roma, for being women and for being poor. Roma women have limited access to education, health care, do not participate in public and political life and live under constant threat to their security. These problems become even more severe through the lack of ID documents – in some areas of Ukraine only 15% of Roma have passports, a situation that obstructs them to access social services, education and official employment. “In our work with Roma activists in Ukraine, we sometimes feel their fear they cannot have an impact. Roma rights activists should not feel isolated. A great number of experts and activists from the around the world, as well as from Ukraine, are present in the Parliament today, to support Roma activists and to build a network which can be empowering, and strengthen our joint advocacy efforts” – Anastasia Divinskaya, Representative of UN Women Ukraine. ERGO Director Gabriela Hrabanova stressed that mainstreaming gender equality alone is not enough, there needs to be a special focus on empowering Roma women and to include them in designing strategies targeting them, so they are able to fully participate in society. 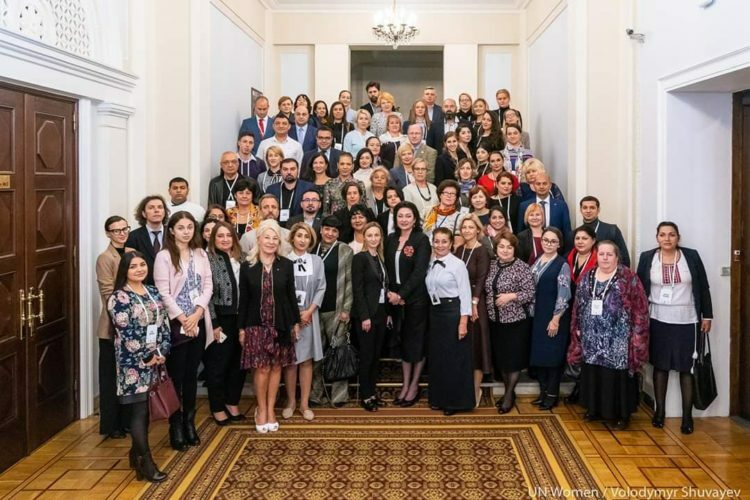 The participants gave gender-specific recommendations to national, regional and local authorities to address the pressing needs of Roma women and to ensure their equal rights and opportunities. They should inform the new approach of the current and future legislation or policies that promote rights of Roma. 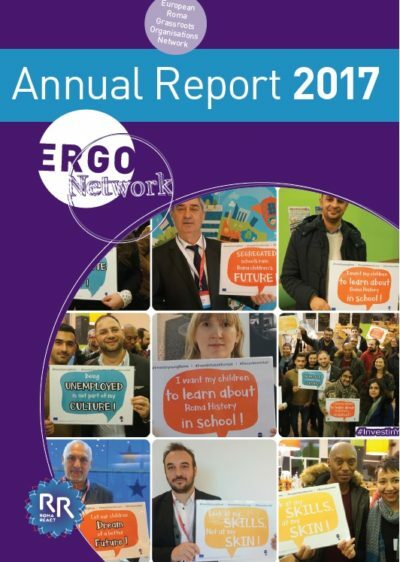 Roma Active Albania and European Roma Grassroots Organizations (ERGO) Network organized an award ceremony in the European Parliament to acknowledge positive examples of local authorities – eight Mayors from the Western Balkans and Turkey. The campaign “The Most Roma Friendly Mayor” is part of the project Joint Initiative to Empower Roma Civil Society in the Western Balkans and Turkey aiming to mobilize Roma communities and strengthen their existing capacities to engage in a dialogue with public authorities. The eight winning mayors, selected from 49 competing municipalities, were welcomed by the Member of the European Parliament Ms Soraya Post, the Minister of Labor and Social Policy of The Former Yugoslav Republic of Macedonia Ms Mila Carovska, the Director-General of the European Commission DG Near Mr Christian Danielsson and the Director of Roma Active Albania and General Manager of the project Mr Adriatik Hasantari. The awards were given to the following eight mayors: Mr Erion Veliaj, Municipality of Tirana, Albania; Mr Mićo Mićić, Municipality of Bijeljina, Bosnia and Herzegovina; Mr Blagoj Bochvarski, Municipality of Štip, FYROM; Mr Burim Berisha, Municipality of Fushë Kosova, Kosovo; Ms Snežana Matijević, Municipality of Tivat, Montenegro; Ms Latinka Vasiljković, Municipality of Odžaci, Serbia; Mr Osman Genç, Municipality of Canik, Turkey and Mr Hayri İnönü, Municipality of Şişli, Turkey by Ms Post, Mr Danielsson and Mr Hasantari. Seven independent juries were established in the respective countries, assessing the applications and comparing the facts with the realities. The juries pointed out the progress in having a concrete and budgeted Local Action Plans, efforts in creating education-related opportunities, support for social entrepreneurship, improvement of infrastructure in terms of roads, lighting, sewage and water supply, newly built apartments, Roma participation in local authority structures, and some results are visible in the fields of employment and health as well as in applying holistic approach. After the award ceremony, all participants were invited to a luncheon discussion. Ms Gabriela Hrabanova, the director of ERGO Network, invited the participants to engage and open about challenges they face and think about how they can work together to find solutions. The award was followed by discussions about the situation of Roma in the Western Balkan and Turkey by speakers ranging from civil society representatives, mayors and the National Roma Contact Points to members of the European Parliament, the European Commission and international organizations. Main questions that lead the discussions were the following: how can the participants overcome specific challenges they are facing from their own positions and how do they see the development of the positioning of the enlargement countries’ Roma agenda in the post-2020 EU programing period. The Award Ceremony is organized in the framework of the EU Roma Week 2018 held from April 9 to April 12, 2018 to mark the occasion of the International Roma Day on April 8. The International Roma Day in 2018 commemorate the 47th anniversary of the first Romani Congress that was organized in London in 1971. The third EU Roma Week is a joint initiative of the European Commission and the European Parliament, together with civil society and international organizations. All the events of the Roma Week can be found at https://www.ardi-ep.eu/roma-week-2018/. Contact: Jelena Jovanovic (j.jovanovic@ergonetwork.org, +32 486 451 393). Disclaimer: This press release has been produced with the assistance of the European Union. The content of the release is the sole responsibility of Roma Active Albania and ERGO Network, and can in no way be taken to reflect the views of the European Union.